Hammersmith Grove is an elegant, tree-lined thoroughfare running from Goldhawk Road down to Hammersmith Broadway. It is blessed, on the west side in particular, with some extremely handsome multi-storey residences, originally built for ‘ladies and gentleman and with plenty of accommodation for indoor staff’. The grandeur of the street prompts a fascinating question – why does it exist? 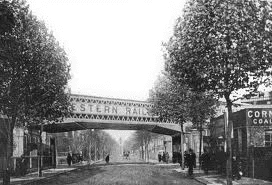 After all there is a much older thoroughfare, Shepherds’ Bush Road, serving almost exactly the same purpose of connecting Bush to Broadway which takes the bulk of the traffic. 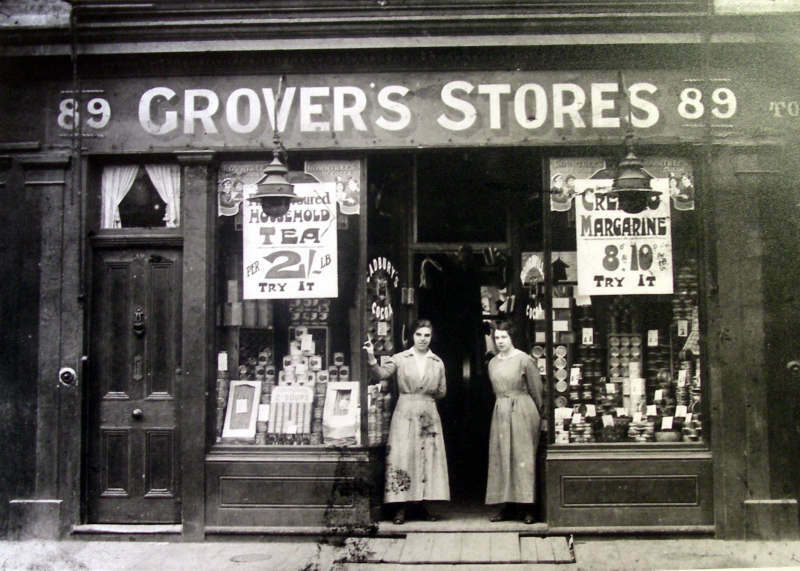 In fact, for a long time Grove Road or just the Grove didn’t exist. The entire area was able to function just fine without it. The thoroughfare is a relatively new addition to the map of Hammersmith. There’s no sign of its existence on a map dated 1746 (Shepherd’s Bush Road, on the other hand, is clearly marked). The map shows mainly fields and open spaces. For centuries the area was known for its large number of nurseries and market gardens that provided fresh produce to the rapidly-swelling populace of London. The evidence provided by the map dovetails with A Philosophical Account of the Works of Nature, published in 1721. It states that ‘the gardens about Hammersmith are famous for strawberries, raspberries, currants, gooseberries, and such like’. One garden at the north end apparently even grew cherries, apricots, and ‘curiosities of those kinds’. It’s when you look at the architecture of Hammersmith Grove that you begin to get an inkling of why those market gardens and nurseries were swept away. 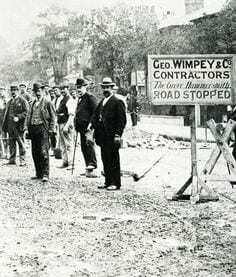 George Wimpey – one of the most famous names in construction – was a local boy, born in Brook Green in 1855, later moving to 84 Hammersmith Grove. In 1888 he joined forces with Walter Tomes and their partnership was responsible for many famous buildings including Hammersmith Town Hall and the White City Stadium. Wimpey died at the age of 58 but his legacy lives on and he and his fellow builders clearly did the local community a great service. Hammersmith Grove is a handsome street and a fine place to live. It has a tube station at one end, west London’s biggest transport hub at the other. It even once had its own railway station but that was closed back in 1916. Thanks to Daniel Paul for sponsoring the history page.